LED lights have changed the interior decorating market. They don’t cost a great deal to run, they last much longer than their predecessors and they are available in a number of colours. Where they have particularly come to the foreground is their use as down lighting, either inside the home or as a useful and decorative feature such as with patio decking. Whilst the term ‘LED downlight’ may be one which has been used for the last few years, many people don’t know what they are, the benefits of installing them and how they differ from older style lighting. This guide will cover just what an LED light is, what a down light is and why they are a great addition to any room. It will also look at what you need to think about if you decide you want to upgrade your lighting to LED. What is an LED down light and how do they work? LED lights have changed how we light our homes and will continue to do so over the coming years as the choices available develop and increase. An LED has a high power light output at the same time as being a low energy bulb. They are available in a great range of colours and are increasingly becoming the natural replacement to incandescent bulbs. 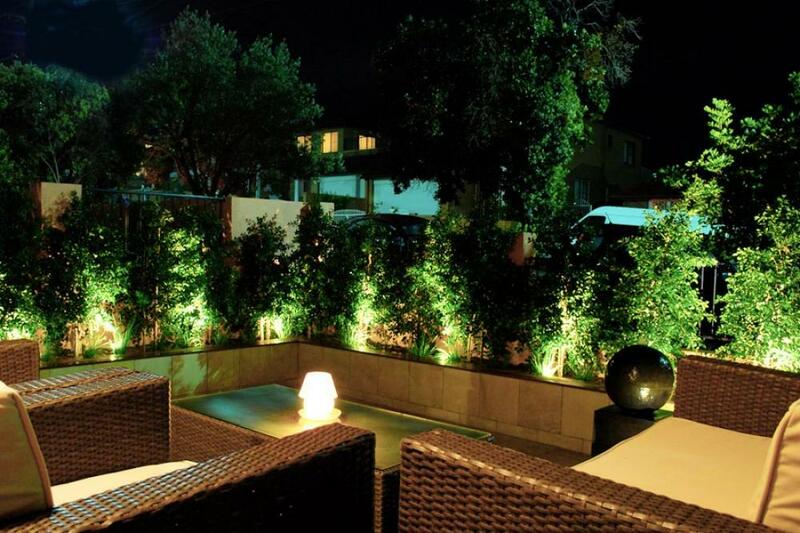 With their great and often inconspicuous design, LED lights are used in a number of environments in addition to interior rooms such as for security lighting, bright, small torches and decorative accents in the garden. 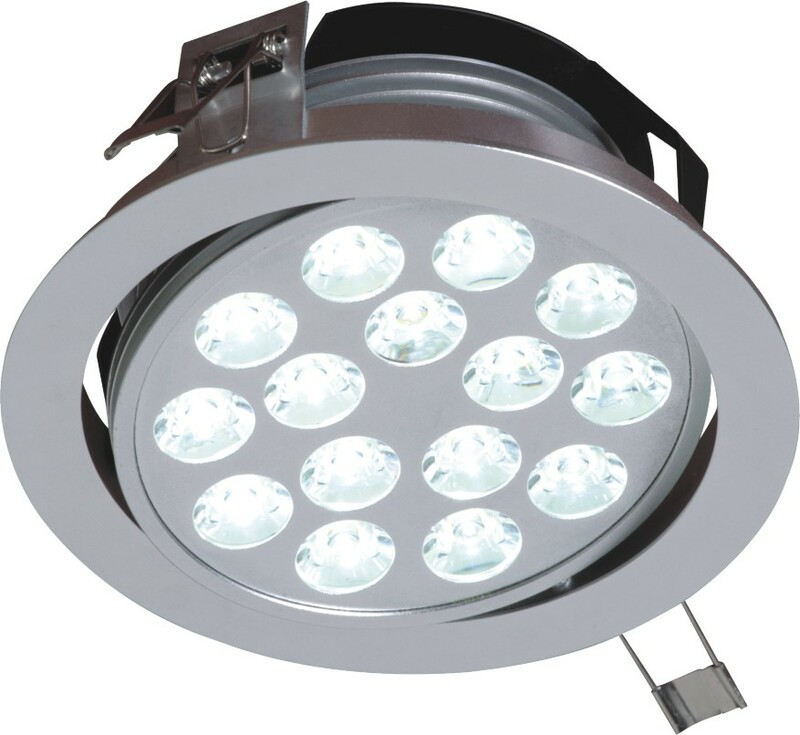 An LED down light is simply a light which can be set into a cavity so it is flush to the surface. It then lights up the area below without the intrusiveness of a bulb and, as the name suggests, it points down. LED down lights are different to incandescent bulbs as they don’t use a filament to create the light. They are composed of a material which when a current is passed through, the particles become a semi-conductor, move around very quickly and release energy in the form of light – all very clever stuff indeed. The illumination is created by a mix of red, green and blue light – each of which is no bigger than a speck of pepper – which when combined result in a brilliant white light. The light emitted is also very direction specific; this means it’s great for recessed areas and as use for task lighting such as above a desk or under a kitchen cupboard. LED lights give off very little heat and so are safe to use in surfaces such as ceilings. They are installed within a fixture which protects the surrounding area, making them an incredibly risk-free option in any room. With LED bulbs able to cut energy use by up to 75%, this is perhaps one of the most important benefits to changing your lighting at home as they are helping the environment through reduced carbon emissions. A bulb which is also becoming popular is the compact fluorescent style. Unfortunately these contain a small amount of mercury which is poisonous and could be a risk. LED bulbs don’t include mercury which makes them even safer to use anywhere in the home. Aesthetically speaking, the greatest benefit to using LED down lighters is the fact they are usually fitted into a recess and aren’t really seen. Add to this the flush finish to a surface and it opens up a space which would previously have been cluttered with a large, unattractive bulb. As they don’t produce very much heat, this means they can be installed into children’s bedrooms and there’s no worry that they may be in reach of inquisitive small hands with a nasty burn being the outcome. Incandescent bulbs emit 90% of their energy as heat which could be a nasty accident waiting to happen with a young one, LED lights take away this concern. A good quality LED down light can last up to 25 times longer than other types. This means they don’t have to be replaced as often which in the long term is a great money saver. Placing an LED down lighter needs thought and planning. You want to get the most from your new lighting so think about where they will be installed. If you place them in the wrong part of the room, they can suffer from poor light diffusion and the light won’t spread out in the way it should. You’ll end up needing more light to illuminate the space which negates the original concept. Whilst LED lights can be turned off and on with a traditional switch, they often work best in conjunction with a dimmer switch to give a soft light to create a relaxing atmosphere or a stronger ‘glare’ on days when the natural light is dim. This will mean some wiring work which you shouldn’t undertake unless you have electrical knowledge. A good tip when planning the installation is to ensure the lights aren’t placed in the very far corners of the ceiling. The benefit of the style of light will be lost so bring them slightly towards the centre of the room for the best effect. If you have a ceiling fan, don’t place any lights under the blade. If you do, you’ll have a constant flickering when the lights are on and the fan is in motion. Place them just outside the edges of the blades. Consider your ceiling height – the greater the height of the room, the more powerful LED down lighter bulb you’ll need. Upgrading to LED down lighters in every room makes sense in so many ways but it’s a project for those with the correct skills and experience. Installing the lights can mean cutting holes in surfaces to create recesses, making the wiring of existing lighting safe when the old fittings are removed and the rewiring work which could well be needed for your new look home. If using LED down lights is a path you want to take, talk to a qualified electrician before attempting the job yourself. They can advise on the work needed and complete the installation for you so you know the end result looks great and is completely safe.